Anyone holding out hope that the Federal Communications Commission’s repeal of net neutrality rules wouldn’t affect their internet better brace for some bad news. New research from the University of Massachusetts, Amherst, and Northeastern suggests that all of the major U.S. telecom companies have been throttling traffic to and from apps like Netflix and YouTube. That means customers are getting lower quality video, because the internet service providers say so. The data that backs up this startling claim comes from over 500,000 tests that looked at more 2,000 ISPs worldwide. Everything was collected through an app called Wehe, developed by the researchers, that has been downloaded by over 100,000 people. This amounts to one of the largest studies of its kind. Verizon appears to be the biggest culprit with 11,100 instances of what the researchers call “differentiation,” most of which involves throttling. AT&T was spotted treating traffic differently 8,398 times, and they identified T-Mobile doing it almost 3,900 times. Need a few more stats to get angry? The throttling observed through the Wehe app was not minor. Bloomberg gives an example of a recent test wherein “Netflix speeds were 1.77 megabits per second on T-Mobile, compared with the 6.62 megabits-per-second speed available to other traffic on the network at the same time.” That’s about one third as fast. David Choffnes, one of the researchers behind the Wehe app, says YouTube, Amazon Prime Video, and NBC Sports have been throttled in similar ways. You might recognize Choffnes’s name from a controversy earlier this year, when Apple rejected Wehe from its App Store. The app is designed to detect net neutrality violations but works a lot like speed test apps, like the one made by Ookla. Apple argued that the app “has no direct benefits to the user.” However, after the rejection was reported by Motherboard and others, the company approved the app. So this is the grim future we’ve dreaded, the one that sparked massive public protest and resistance from Congress. Many hoped we’d avoid a fate where internet traffic would be sped up or slowed down based on the whims of ISPs. 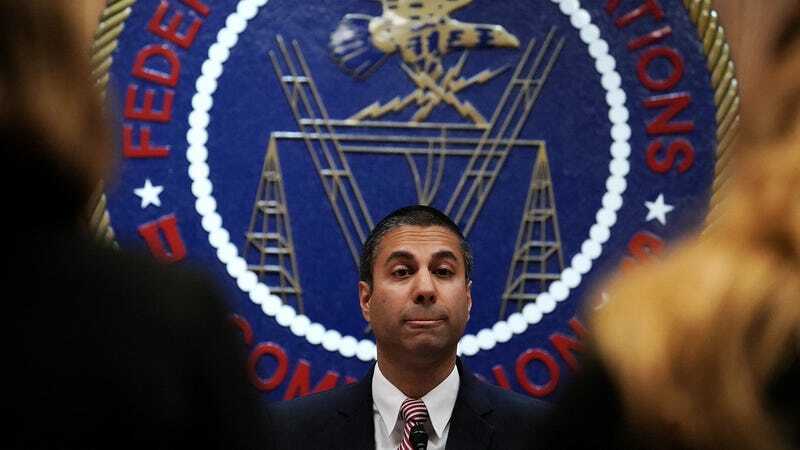 We almost avoided the worst parts of it, too, after the FCC passed the strongest net neutrality rules in America’s history under the Obama administration over three years ago. Of course, Ajit Pai and his Republican-controlled FCC repealed those last December. Later, Pai himself was accused of providing false information to Congress about an alleged “cyberattack” on the FCC’s comment system that never happened. Meanwhile, the fight to restore net neutrality has been fierce. The United States Senate has voted to reinstate the net neutrality rules, while California has passed a bill to restore net neutrality. We don’t know what will happen next in that fight, but one thing does look very clear. Given the opportunity, it looks like big telecom companies can and will throttle internet traffic, unless their customers pay more money. Extrapolated over time, this principle could fracture the internet as we know it into fiefdoms and walled gardens, where only the rich get access to certain information and services. If this sounds like a bad idea, you can email Ajit Pait at this address.